Today we’re welcoming guest bloggers Oanh Nguyen and Dang Vu. Oanh and Dang founded Rau Om to produce all-natural cured delicacies that are too good to remain so obscure. They maintain a blog where they share their experiments in the kitchen, mostly cooking up traditional and progressive Vietnamese dishes, and they’ll be serving nem chua at the San Francisco Street Food Festival on Saturday August 20th. Nem is usually sold in small packages, to be eaten straight or garnished with garlic, chili, and/or Vietnamese coriander. 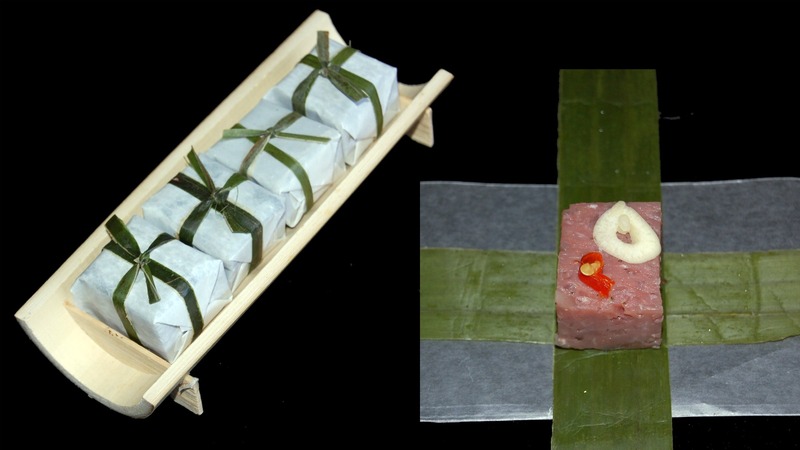 My partner and I both love nem chua, a popular charcuterie product from Vietnam. When we decided to learn how to make it via traditional, all natural method, we thought surely for such a popular product a recipe could be found easily. Instead we found a striking illustration of how food additives were both a boon but more often a bane to traditional food producers. The additives that simplified nem-making made what was once an artisanal delicacy into an unbranded, generic product. Once chemicals replaced skill, nem increasingly became a caricature of itself, with artificial color, artificial texture, and artificial taste. What was worse, the skill to make nem the traditional way ceased to be transmitted. We’re proud to say though that after much research and experimentation, we eventually found a way to produce nem the all natural way. 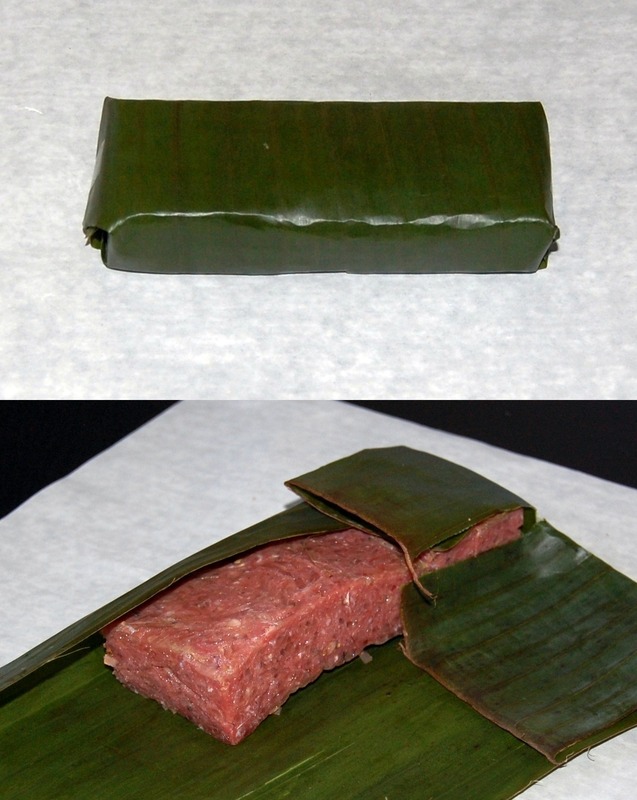 Nem chua is the Vietnamese member of a family of Southeast Asian fermented, cured meat whose ingenuity in production and resulting textures and flavors beggar my imagination when I think about its origins. Vietnam lies firmly in the tropics and is therefore traditionally precluded from the slow salt-cured hams of more northerly peoples. Instead, Vietnamese hams needed freshly ground lean meat and a specific combination of spices and processing steps to cure the meat rapidly in the tropical heat. Out of that necessity comes a unique product that is at once snappy and yielding, sweet, savoury and tangy, garlicky, peppery, and can be garnished with chilli and fresh herbs. The scientist in me marvels at the form that exquisitely followed function; the gourmand in me simply cannot get enough of the stuff. We had decided to learn how to make it ourselves because we were finding it difficult to get authentic nem where we lived – but who would teach us? Our mothers have been making nem using the all-in-one powder packets that are readily available at Asian supermarkets. 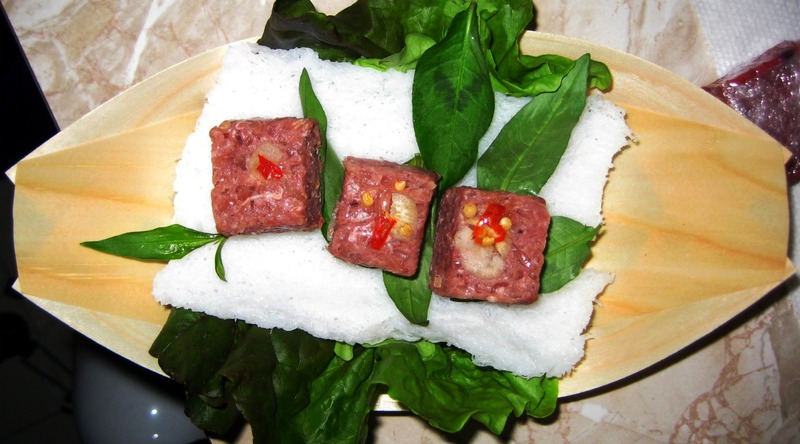 Extensive searches of English and Vietnamese literature yielded no recipe, food articles, cooking show episodes, or anything else that did not use the powder in order to make nem. On the one hand the success of the powders made sense – they greatly simplified the process, and had a large cadre of synthetic ingredients to ensure consistent results every time. On the other hand, even our mothers were concerned about the ingredients list but reasoned that nem was only an occasional indulgence and presented little chronic health concerns. We did not want to make and eat food with mysterious ingredients that continuously caused us worries. We next looked into commercial sources for nem here in the United States, but the dedicated nem makers were hard to find. Instead, nem on the grocery store counters were seemingly made by unskilled hands that relied on chemicals to control every aspect of the dish. The worst of these generic nem glowed fluorescent pink, had a preternatural crunch, and left a faintly sweet chemical aftertaste. Nem as we knew it was disappearing! We also heard anecdotes from friends and family back in Vietnam that many health-conscious people there were also giving up nem because of food safety concerns. Closer to home, one of my uncles had also given up eating nem altogether. We had come to him asking about nem after discovering that his family operated traditional charcuteries both in Vietnam and wherever they scattered to in the Diaspora. He never went into the family business and was unpleasantly surprised to discover from his siblings how much chemicals were in nem as presently made. A larger block of nem for sharing. Being stymied at every turn actually made us more determined to make nem the all-natural way. We’d re-invent it if we have to. We read up research papers for any hint into the mechanisms of curing. We worked out with high confidence the proper proportions of all the main ingredients but still something was off. The breakthrough came when we looked into how other cultures in Southeast Asia produced their cured meats. We came across references that the ingredients must be added in the proper sequence to make the meat receptive to lactic fermentation and be properly cured. Without the chemicals, making nem was a much more transparent process, where every step, and the quality of every ingredient had a significant mechanistic or aesthetic effect on the final product. During the entire preparation time the meat must be constantly kneaded to be broken down on a physical level while the addition of sea salt achieved the same effect on a molecular level. The sugar or malted rice provided the fuel for lactic fermentation. Even the spices had an anti-microbial effect that gave the probiotic fermenters time to acidify the meat and make it inhospitable to spoilage and pathogenic organisms. Finally nem was packed into multi-layered leaf packages which provided a fragrant and secure, anaerobic environment for nem to cure. We can’t say for sure that ours was the traditional way of making nem, having been unable to reconnect to any nem making lineage and having had to derive our own method. However, we can say that the nem we made were as we remembered them, that our cravings for nem were finally satisfied, and we can be proud that we made our nem the all natural way. This entry was posted in In the Pantry (food artisans) and tagged charcuterie, cured meat, Dang Vu, nem chua, Oanh Nguyen, Rau Om, Real Time Farms, san francisco, vietnamese. Bookmark the permalink. Hi could you please supply the recipe for traditional nem chua? ?